Cremation Society of Virginia was established to provide professional, compassionate services to the many Virginians who prefer simple, dignified cremation services. We are licensed by the Virginia Board of Funeral Directors and Embalmers, and, unlike most funeral homes, we own and operate our own crematory. It is our goal to provide exceptional value, quality, and expert guidance during the cremation preplanning stages. Our preplanning (or “pre-need”) services are offered to individuals who would like to take control of their future by arranging their final wishes in advance. Preplanning allows your family time to grieve your loss and celebrate your life rather than face confusing choices and additional costs. Contact us today to begin preplanning online. For those who have not prearranged their final wishes, Cremation Society of Virginia also offers cremation services for the time of need. Our experienced and caring professionals are available to help you through this difficult grieving period and answer any questions you have. We’re here for you 24 hours a day, 7 days a week…whenever you need us. 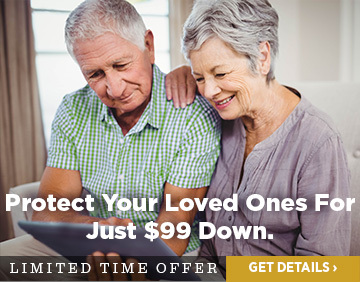 If a loved one has passed away, click here to review our immediate need packages online now. Is Cremation Right For Me? As funeral costs continue to escalate, more people are turning to us as a dignified alternative to elaborate – and expensive – funeral services. Today, nearly 32% of Virginians choose cremation over burial. The Cremation Society of Virginia was established to serve these individuals. Unlike most funeral directors, our licensed staff members specialize in cremation. Members of the Cremation Society of Virginia are offered cremation, urns, caskets, and memorial and funeral services at costs significantly less than those at funeral homes. We do not sell high-priced caskets or operate lavish facilities, so our members are not pressured to buy services or merchandise they do not need. Cremation is increasingly common throughout the United States and has become the preferred method of disposition in industrialized nations world-wide. Reasons for choosing cremation vary from religious, ecological, or cost concerns to personal preference. Whatever your reason for choosing cremation, the Cremation Society of Virginia is here to assist you in your time of need. Contact us today to receive a free cremation answer book and price quote.